Tour description: You can either climb to Pnhatt mountain with the elevation of 1696 m, having the great view of Dalat city from there or wandering around Darahoa village, mingle with local people, have a short hike in the jungle along beautiful stream. Pick up at your hotel and transfer to the airport for the flight to Dalat. Upon arrival, you will be met by our guide and car for a short drive to your hotel in Dalat. You will have time to relax in your room before having lunch in Café de la Post, one of the most elegant restaurants in town. In the afternoon, our guide will take you for the orientation work to city center, the market of Dalat and famous XQ embroidery workshop. Dinner on guest's account. Overnight in Dalat. Today you can start discovering the city of spring by the tour to Dalat Railway station, the most beautiful one in Vietnam. After that, drive to Robin Hill. 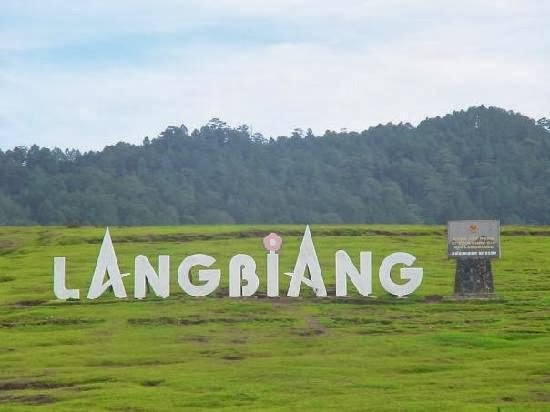 From the top of the hill, where we take the chair lift down to Tuyen Lam lake, we can view the grandiose mountainous area of the Langbiang plateau. Then below Truc Lam Monastery appears among the pine trees. You will find this place so colorful with many a flower garden, yet so peaceful. After that you will take the steps down toward the Tuyen Lam lake and collect our boat for a ride on the vast lake. On the other side of the lake is the resort of Da Tien. You will be surprised with the cute rooms in form of the sleeping elephant on the hill side amidst the pine trees. Then our real adventure starts. This may be the most interesting moment when you sit on the back of an elephant wandering in the pine forest, looking over to beautiful Tuyen Lam Lake. Enjoy the romantic time in the beautiful nature nature, under the shade of pine tree with beautiful barbecue lunch at Da Tien Resort. In the afternoon, our car will take you to Nui Voi Eco Resort. Located in the jungle, 16 km away from Dalat, Nui Voi is area of K’Ho people that you can experience difference identities of their culture. You can either climb to Pnhatt mountain with the elevation of 1696 m, having the great view of Dalat city from there or wandering around Darahoa village, mingle with local people, have a short hike in the jungle along beautiful stream. Stay overnight in the special house built on the tree, there will be two of you with the nature. Then enjoy the simple but beautiful dinner with Dalat red wine at the resort. Overnight at Nui Voi Eco Resort. This morning, the birds in the jungle will wake you up by their beautiful song in peaceful nature and totally pure and fresh air. After breakfast, our jeep and guide will take you to visit Lat Village of Lach people in Langbiang Mountain. After visiting the wooden church and long house in the village, our jeep will take you to the top of Langbiang with the elevation of 2169 m. From here, you can enjoy the great view of beautiful Dalat city. If you like more adventure, you can do some rock climbing with your honey before coming back to Dalat for lunch in local restaurant. Back to your familiar and cozy room your hotel in Dalat. There will have two bicycles ready for your own use at the hotel till check out time. In the afternoon, you can either relax in the hotel or discover Dalat on the bicycle. Overnight in Dalat. Today you can have the whole day together at leisure in Dalat. Dalat is so called a city of flower, that you can see anywhere, even at the simple small corner of the alley. It will be great trip when two of you cycling along Tran Hung Dao Street, that was well known of beautiful French Villas under the shade of hundred year old pine tree. If you have more energy, just take about 7 kms riding to Linh Phuoc Pagoda, which you can admire the great scenery of city, vegetable farm along the way. Upon arrival, visit Linh Phuoc Pagoda with famous dragon have been built from 50.000 bear bottles. Just take a little further walk, you can go and visit the local farm with very hospitable farmers right beside the pagoda. Overnight in Dalat. Day 5: Dalat - Saigon (B)You will have free time at leisure in Dalat till your departure time to the airport for the flight back to Saigon. Tour end.